ISLAMABAD: The liquefied natural gas (LNG) controversy has been always there and has emerged again. The previous Pakistan Muslim League-Nawaz (PML-N) government has strongly defended its LNG projects and has challenged the present government to prove any corruption. Inquiries have been made but so far no clue to the allegations has been there. There are other objections as well advanced by the opponents of LNG. One is that there was no need of LNG and that it has increased the import bill; second it is more expensive and has increased the cost of generation; third, LNG from Qatar is expensive than other countries which has been possibly due to some intermediary interests; and fourth, the tariffs of LNG terminals are too high and they should be brought down. Apart from these, many argue that spot buying may have been a better option than a long-term contract. And finally, why a negotiated contract instead of competitive bidding? Before we get down to the subject matter, we would like to submit that in large measure, Shahid Khaqan Abbasi, former minister of petroleum and prime minister, is himself responsible for the controversy. He first did not disclose the price and later did not disclose the contract, citing commercial secrecy reasons which are not understandable in these days of public disclosure requirements internationally. And neither were the prices so good and the lowest that other Qatari customers would be jealous or demanding price revision. Finally, with the change of government, the contract was disclosed. 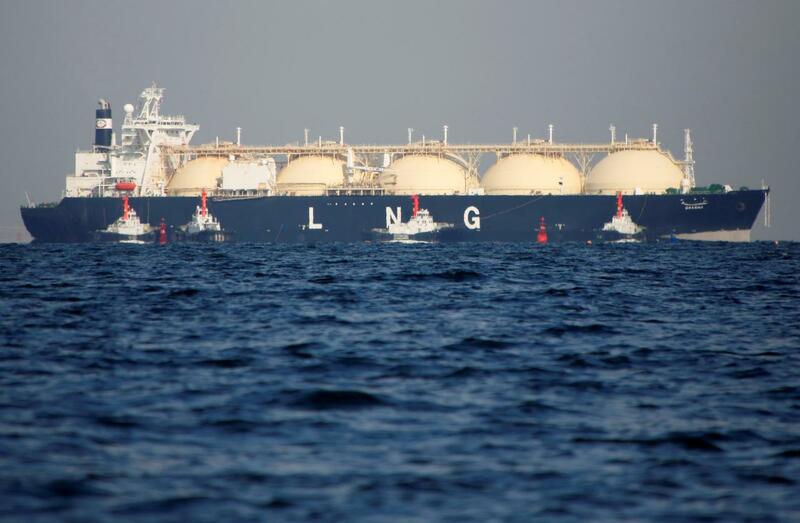 Reportedly, there is a clause in the agreement that allows the buyer to resell an LNG cargo to a third party and a third destination. This is a good clause favouring the buyer and was unusual at the time of signing the contract. Traditionally, LNG suppliers insist on one destination and prohibit reselling. This is changing now due to competitive pressures. One would not be able to trace the motivation of a negotiated contract, except that for the past many years such negotiations had been going on. Later, the government did invite competitive bids, which were lower than the Qatar price and which enabled it to renegotiate the Qatar price down. The current price of 13.35% of Brent is that later negotiated price. Earlier agreed price was higher than this. Relevant officials argue that sometimes competition is not well participated and it may not be necessary that best prices are received. However, I would have my reservations. The Qatar LNG price is almost the same or only slightly higher than those paid by India and Bangladesh. This is, however, not the lowest in the world as claimed by ex-minister Abbasi. In the favour of LNG, there are following points: it is a clean burning fuel, it is 20% cheaper than furnace oil and the re-gasified LNG combined-cycle plants offer the highest thermal efficiency of 60% as has been noticed in three such plants in Punjab. By combining the LNG price difference of 20% and 50% higher efficiency, the price difference comes in at 80%. For example, fuel charges for RLNG power plants these days are Rs10.37 per kilowatt-hour (kWh) as opposed to Rs14.46 per kWh for furnace oil. Also, capital expenditure (capex) on the RLNG combined-cycle power plant, it is argued by protagonists, is low at $1,000 per kilowatt. The cost argument may be controversial as solar and wind power are now available at below 5-6 cents per kWh and do not require any fuel, saving foreign exchange. However, solar power is restricted to day-time only and wind and hydroelectric power is available only in summer. Lack of consistency is cited to be an issue. However, the consensus is that almost all power sources are required in some mix and combination and no single source can alone be enough to meet varied demand and cost issues. Perhaps most importantly, whether it is necessary to add and import LNG. If LNG is excluded from power production, there is unmet demand from vital sectors of the economy – domestic, commercial, industrial, fertiliser and CNG. Owing to the gas crisis in previous years, fertiliser plants were closed and many industrial units were shut down. In winters, domestic consumers suffered, especially in Punjab. It has been estimated that the largest gas consumer will be the domestic sector. There are a number of demand-supply scenarios, all of which predict exhaustion of local gas and a major demand-supply gap. Can this gap be bridged by local producers, it is quite uncertain on two grounds. Conventional gas is not projected to be much so as to meet demand for another 4,000 mmcfd in addition to the current 4,000 mmcfd. After the turn of the century, no major gas discovery exceeding 1 trillion cubic feet (tcf) has been made. Major discoveries occurred in the 1950s which gave Sui, Mari and Uch gas fields and later in the 1990s which gave Qadirpur, Pirkoh and Zamzama fields. The current government has invited exploration tenders. There are prospects in Balochistan and tribal areas which could not be explored due to poor law and order situation. It is said that not more than 20 tcf could be expected to come out in the next 20 years. There are shale gas deposits which remain questionable, at least in the short to medium term, for a variety of reasons including the cost, water consumption and degradation. As for Turkmenistan-Afghanistan-Pakistan-India (Tapi) pipeline, there is the unknown Afghanistan factor and for the Iran-Pakistan pipeline, the unknown is the US foreign policy. One would like to assume that these problems may be resolved in 5 to 10 years. Like it or not, LNG appears to be more reliable and predictable option than anything else. One terminal imports around $1.5-2 billion worth of LNG per year. Six terminals would import LNG valuing at $9-12 billion per year. The only good news would be the reduction of 10 million tons of fuel oil per year costing $4 billion. The problem would not be solved if power production is shifted to Thar coal or renewable energy, although it should be maximised. Unfortunately, four coal-power plants are being built on imported coal – two have been completed and two are under construction. Sixty per cent of gas is consumed by the non-power sector including domestic, commercial, industrial and fertiliser consumers. All these sectors require gas, which cannot be substituted in most of the cases. Fertiliser can rely on Thar coal, but it is futuristic. May be half of the industry can shift to Thar coal. LNG is no panacea, it requires foreign exchange, but local production is also priced and paid in foreign exchange to some extent. Finally, there is the issue of tolling tariff of LNG terminals which Petroleum Minister Ghulam Sarwar argues is too high and should be renegotiated. Engro has responded that the rates cannot be legally negotiated under the contract. Average LNG terminal tariff in Europe is around 25 cents per million British thermal units (mmbtu). In some seasons at peak demand, it may be higher. Engro had initially required a tariff of 66 cents but later brought it down to 44 cents. Pakistan GasPort’s terminal tariff is lower at 41 cents. Engro has leased the Floating Storage and Regasification unit (FSRU) and was the first one to take the risk, argues Engro. Pakistan GasPort and its joint-venture partners own the FSRU vessel. Pakistan GasPort was the sole bidder and the other bidder was technically disqualified. In such low competitive situations, the cost-plus tariff is usually a better approach under which a lower tariff could be agreed. Biogas may provide about 10% of Pakistan’s gas needs. Thar coal-to-gas is an option worth pursuing. China is producing most of its fertiliser on coal-gas and there are other coal-to-chemical plants there. Thar coal field is situated very close to a number of fertiliser plants. These are mostly medium to long-term options. However, there may not be any urgent need for installing any more power plants on LNG as four plants have already been installed, out of which one is under construction. Frankly, LNG appears to be akin to one in the hand vs two in the bush. However, would we have the continuing foreign exchange availability to keep buying it from abroad? Our recurring problem is of current account deficit. Imports have to be avoided as much as we possibly can, if we have the alternatives and options? Published in The Express Tribune, November 19th, 2018.